Obridge Academy is a private online school accredited by AdvancED. AdvancED is the unified organization of the North Central Association Commission on Accreditation and School Improvement (NCA CASI) and the Southern Association of Colleges and Schools Council on Accreditation and School Improvement (SACS CASI). 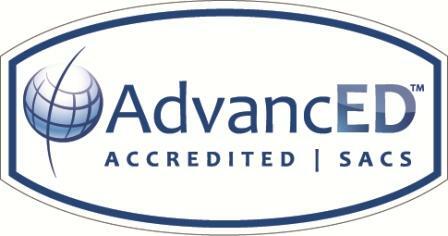 AdvancED provides nationally recognized accreditation for school districts and individual schools and represents 27,000 public and private schools and districts across the United States and in 65 countries worldwide, educating 15 million students. 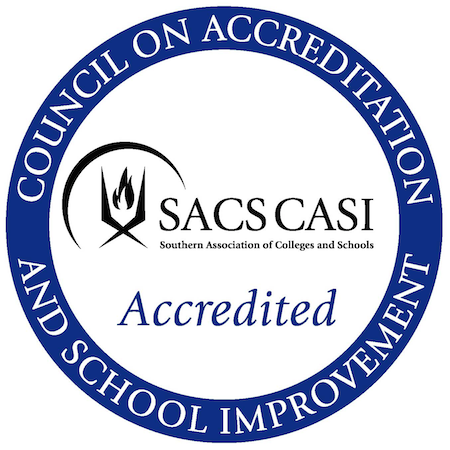 Obridge Academy is proudly accredited by SACS CASI, an accrediting division of AdvancED. Obridge Academy meets the highest standards of excellence. Click here to view the current status of Obridge Academy’s accreditation with AdvancED. Accreditation helps to assure that Obridge Academy students receive reciprocity of credits, courses, and grade-level placements with schools and universities around the world. 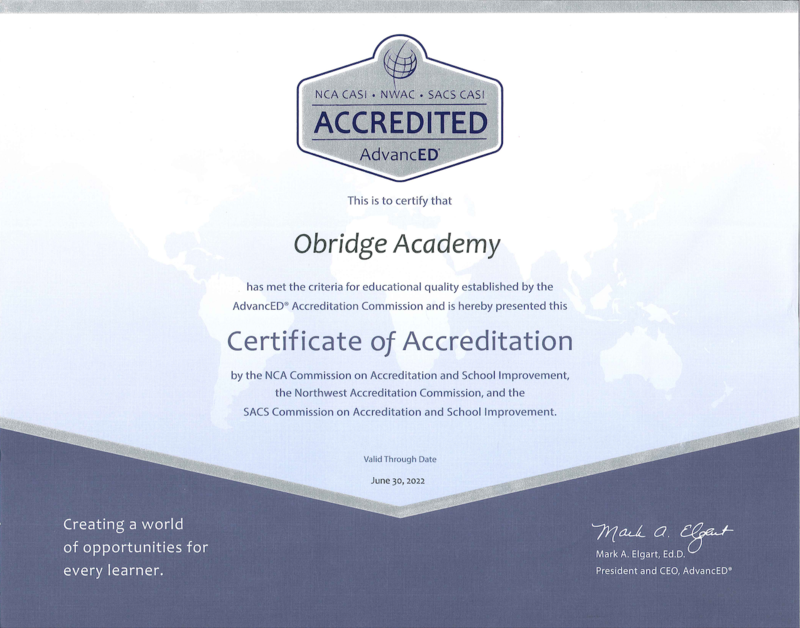 Accreditation is a process where third parties certify the competencies, authority, and credibility of Obridge Academy. This approval further serves to confirm our current practices, teaching credentials, expertise, curriculum and staff excellence with an external third party. Obridge celebrates and embraces accreditation. As it is an ongoing process of self-study, goal setting and evaluation, accreditation ensures that excellence is a process, not just a destination. 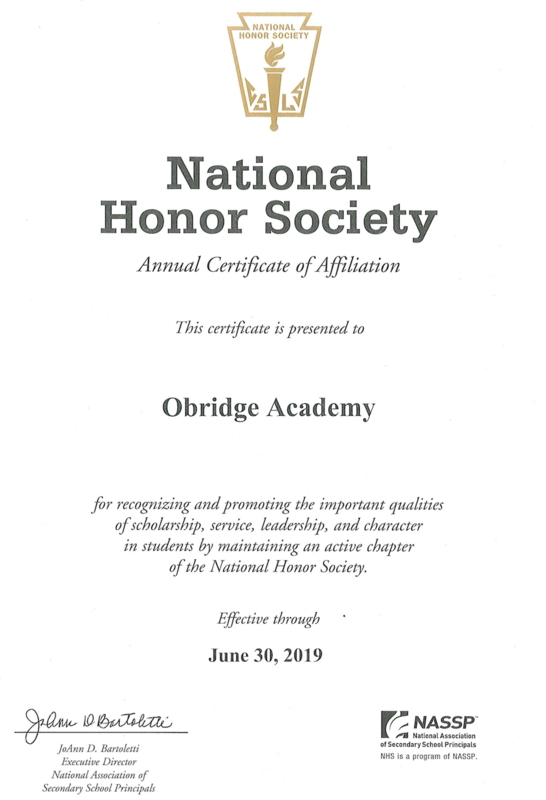 Effective January 2018, Obridge Academy officially established a chapter of the National Honor Society (NHS)! Obridge students who meet specific criteria can now be selected members of our chapter, and as such, will enjoy the benefits of exclusive information about leadership development, college preparation, scholarships, service activities, and financial aid planning. Obridge Academy has been a member of the Better Business Bureau since August of 2012. Obridge Academy was previously located in Tampa, Florida, and was a member of the West Florida Better Business Bureau. Obridge Academy is now a member of the Better Business Bureau of West Palm Beach. Obridge Academy has achieved an A+ rating with the Better Business Bureau.